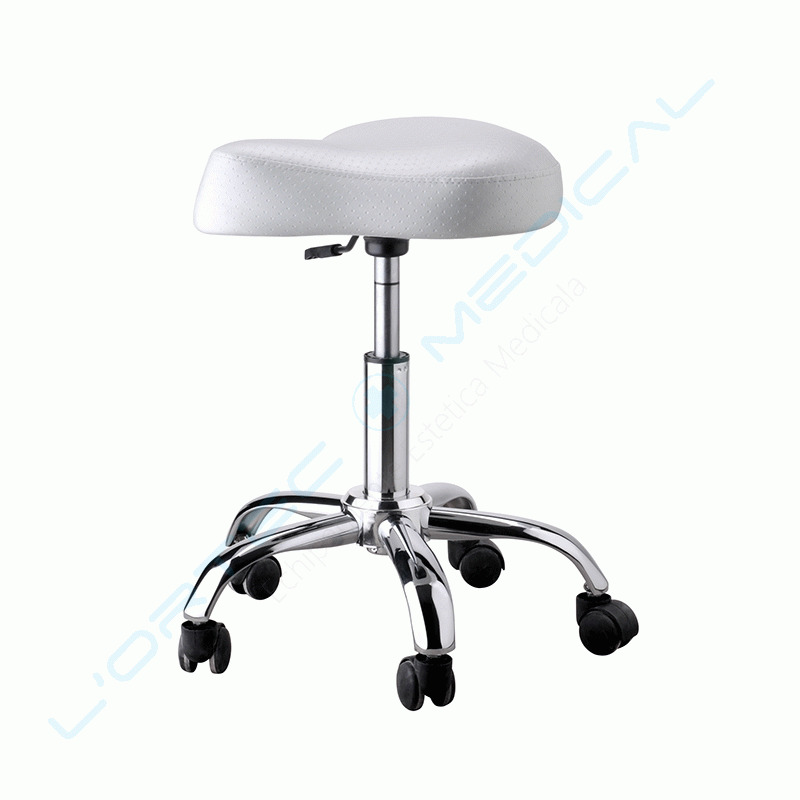 Even though it might look a bit too simple, the cosmetic Pearl stool offers maximum comfort and stability throughout the work day. Its five wheels and adjustable height make this stool an extremely reliable one. 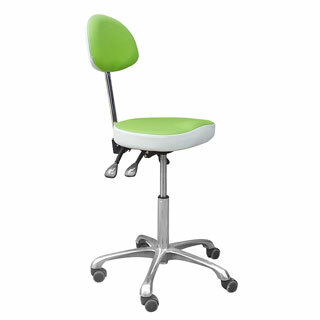 The Treviso cosmetic stool offers, besides ergononomics and comfort, a splash of colour for your office, with its light green upholstery and white lining. The adjustable height and backrest make it extremely useful when you have to work on a fixed frame bed. 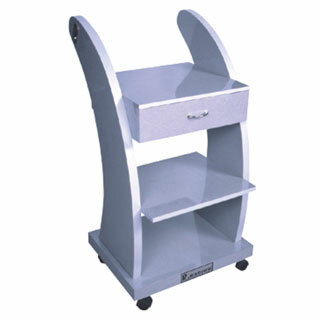 The Shell trolley goes beyond the regular conformity of cosmetic offices, bringing an innovative design, without forgetting the practical aspects. With its two shelves, drawer and sturdy build, it proves that beautiful things are not necessarily fragile as well. 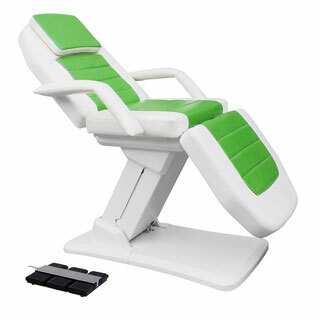 Rotating podiatry chair with a chrome base. Height regulation by a hydraulic pump with blocking system. Back and legrests height are independantly adjustable by a gas lift. 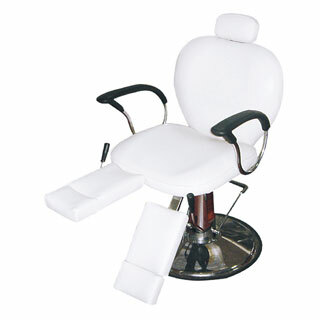 White PVC upholstery of high quality that eases cleaning. Two extra motors can be added at demand.